Tu Tambor’ is a previously unreleased track recorded live at Real World Studios in 1991 as part of the sessions for the La Candela Viva album, produced by the legendary Phil Ramone. La Candela Viva was the album that finally brought Totó international recognition and sealed her reputation in her native Colombia. The track wasn’t included in the final version of that album and the recording was only rediscovered as part of the work that became the Tambolero album, released in 2015. The track celebrates Totó’s long-time musical collaborator and master tambor player Paulino ‘Batata’ Salgado. 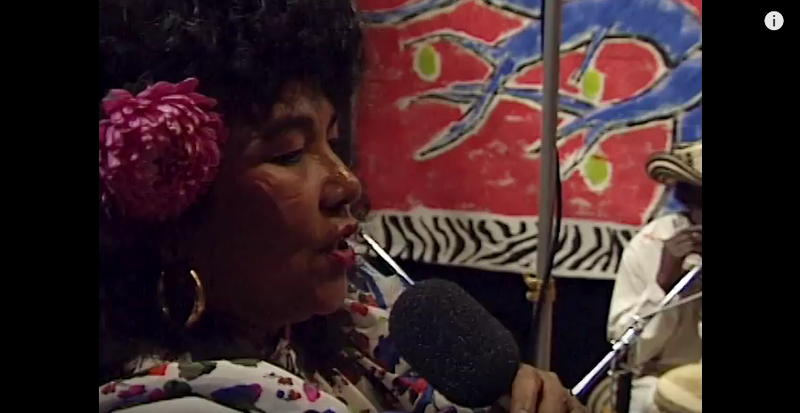 Singer, dancer and teacher, Totó La Momposina’s entire life has been dedicated to representing the music of Colombia’s Caribbean coastline, where African, Indigenous Indian and Spanish cultures mingle to create a unique musical tradition. Tambolero, originally released in 1993 as La Candela Viva, has been re-created and re-imagined for 2015 as part of Real World Records’ Gold series.